THE NUMBER ONE SUNDAY TIMES BESTSELLER OVER 2 MILLION COPIES SOLD! ‘Astounding. Thrilling. 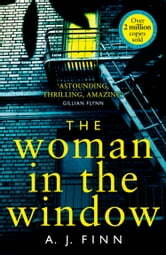 Amazing’ Gillian Flynn ‘One of those rare books that really is unputdownable’ Stephen King 'Twisted to the power of max' Val McDermid ‘A dark, twisty confection’ Ruth Ware What did she see? It’s been ten months since Anna Fox last left her home. Ten months during which she has haunted the rooms of her old New York house, lost in her memories, too terrified to step outside. 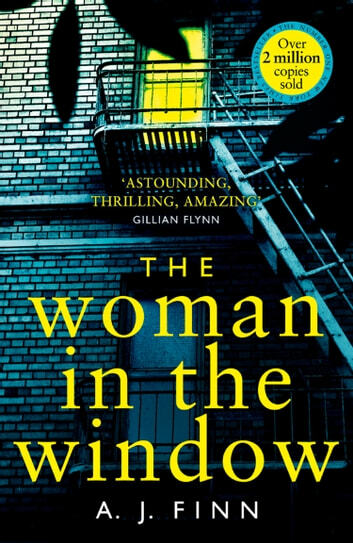 Anna’s lifeline to the real world is her window, where she sits, watching her neighbours. When the Russells move in, Anna is instantly drawn to them. A picture-perfect family, they are an echo of the life that was once hers. But one evening, a scream rips across the silence, and Anna witnesses something horrifying. Now she must uncover the truth about what really happened. But if she does, will anyone believe her? And can she even trust herself? Suspenseful - keeps you guessing for a good while. Descriptions that fill your mind with believable images. References to movies that conjure scenes from the past all the while building a sense of foreboding. Are we really ready to believe what we think we know? Can we place ourselves in such a nightmarish situation and how would we cope? Thoroughly enjoyed the building of tension and surprise elements as well as psychological dilemma. It kept me interested until the end. I loved the writing. The suspense until the very end kept me on the edge of my seat. It was a fantastic read. Highly recommend if the thriller genre is your thing. quite monotous. no particular character development. no particular writing skills in terms of creativiy with language. It is vastly overrated. Really enjoyed this book, a real page turner and written very well ! Look forward to reading more books by this auther.